Insomnia Cookies was started by Seth Berkowitz at the University of Pennsylvania in 2003 out of their dorm room. 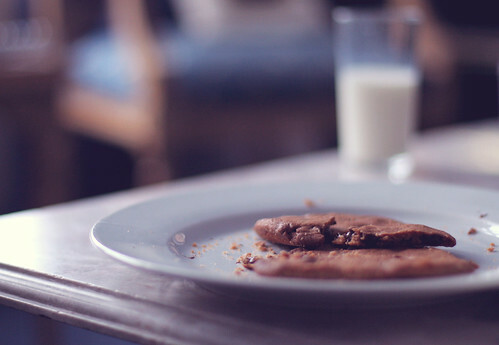 Frustrated with the fact that mostly greasy and heavy food was what was available to students after their night outs studying or doing whatever, Seth started baking cookies on his own as he wanted something light late in the night. Seth’s Cookies became popular among friends initially and then gradually the whole campus started craving for his cookies. So he decided to start delivering them to dorms just like pizzas get delivered. That was just a humble beginning for Insomnia Cookies. Today Insomnia Cookies delivers on 12 different campuses. The list of Campuses served are Cornell University, Indiana University, Michigan State University, NYU / Manhattan, NYU Dining, Ohio State University, Penn State University, Purdue University, Syracuse University, University of Illinois, University of Michigan, University of Pennsylvania, University of Wisconsin – Madison, Virginia Tech.